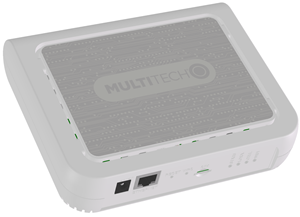 MultiConnect® Conduit™ AP (MTCAP) connects thousands of IoT assets to the cloud using the LoRaWAN® protocol. It expands LoRa network coverage to difficult to reach areas and is capable of packet forwarding user data between LoRa end points and a centrally located network server on the cloud, in a data center, or a public network. Note that some mLinux and LoRa topics do not apply to the MTCAP, which is a gateway/packet-forwarder only.